As part of ISR’s strategic expansion, ISR is pleased to announce that Jeffrey W. Vladyka, PE joins our company as Chief Operating Officer. As Chief Operating Officer, Jeff will play a critical role in the firm’s overall management, direction and vision for the future. Jeff has more than 30 years of experience in engineering and construction supervision of major transportation, facility and infrastructure programs/projects including electrical infrastructure design and construction; emergency ventilation and fan plant construction and rehabilitation; fire protection, life safety, security, telecommunications, and HVAC systems for new Manhattan and Queens tunnels, stations, maintenance and storage yards, infrastructure and rail systems including East Side Access, South Ferry Terminal, Second Avenue Subway, #7 Line, Fulton Street Station, and Security programs. Previously, as Program Executive for East Side Access, Jeff actively managed the Prime Program Management and Construction Management contract that provided lead professional services for the $11 Billion-250+ Construction Management professionals that involved both at-grade and Underground Railroad and systems construction. Jeff brings a strong knowledge of AMTRAK through his leadership for the $45 million Fan Plant and ventilation modernization and hardening as part of the rehabilitation of New York Penn Station. Jeff’s experience spans all areas of transit systems and the infrastructure needed to successfully deploy new, rehabilitation and expansion projects in close coordination of with multiple stakeholders including community, local officials, developers and outside agencies as well as railroad force account activities, and railroad operations. As ISR’s Director of Systems Integration, Larry Lopez has over 20 years’ experience in the public and private sector providing multi-site engineering coordination, systems engineering, strategic analysis, training, project management and risk mitigation for Public Safety Radio, SCADA and PLC projects as well as systems integration for major transit programs in the New York Metropolitan area. His involvement in both the field and office has included Factory Acceptance Testing for PLC subsystems as well as successful completion of Factory Acceptance Testing for Radio Systems. Prior to Joining ISR Larry was Vice President of Engineering ? Engineering Manager for Pinnacle Wireless, Larry was brought in to bring the $40-million PANYNJ WTC Transit Hub’s Public Safety Radio System project to a successful completion. Larry has years of practical experience with DAS/Land Mobile Radio specifically in systems techniques for RF reliability and design, includes Link Budget Analysis, Fiber Optics, and BDA usage, as well as set up and implementation, intermodulation studies, analysis, and practical application of iBwave studies. Larry strategically steered PLC integration and instrumentation from design through to field implementation, including expertly selecting and programming PLCs and SCADA Systems to meet customer needs and design specifications. His career as the EASTWIND MARITIME, Vice President ? Risk Manager, a joint US-Japanese Fleet Owner and Operator with 100+ vessels, where Larry managed Indemnity and Hull Claims Programs. Larry worked with Ocean Marine Insurers to properly adjust complex machinery and injury claims, organized Company Claims database and prepare insurance placement presentations in London, New York and Tokyo. Additionally, Larry managed 3rd Party Claims, Contractual Charter Party issues and Cargo Damage issues. A Long Island Native, Larry began his career for Long Island Lighting Company performing specification and programming of PLC controllers to re-instrument and remotely operate an 18MCFH high-pressure gas pipeline facility with a focus on refurbishment and modernization of Engine Driven Compressors. ISR Expands Rail/Transit Operations Expertise - ISR is one of the leading firms in the field of Rail Operations Analysis, led by ISR Vice President, Robert Spero. Timothy Keller, a senior railroad executive with experience in service planning, rail operations planning and, strategic planning has joined Integrated Strategic Resources (ISR) as Director of Rail Operations Analysis. 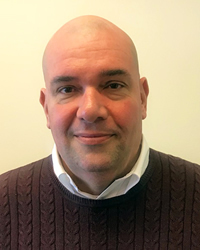 Tim brings significant expertise in rail operations acquired during his career with MTA Long Island Rail Road where he served as General Manager Service Planning. In addition, he served as Director-Business Development North East Corridor for Amtrak managing various operating and business agreements between Amtrak and the regional rail operators. With Tim on board, ISR is one of the leading firms in the field of Rail Operations Analysis which is led by ISR Vice President, Robert Spero. At ISR, Tim Keller serves as Deputy Operations Manager to provide project management oversight for the LIRR Main Line Expansion Project. The Project consists of approximately 9.8 miles of additional track infrastructure, including a new 3rd track and associated systems. Tim. In the key role of Deputy Operations Manager he leads the Operations Management Team, comprised of MTACC, LIRR, NYSDOT and Project Management staff that coordinates Service Plans, Timetables, Outages, Work Trains, and Roadway Worker Protection (RWP) for the Design-Builder and others on or near the LIRR busy Main Line right-of-way operating through Nassau County, Long Island. Brian Doohan, a senior railroad manager with experience in railroad operations management, service planning, rail operations planning and railroad construction management has joined Integrated Strategic Resources as Sr. Manager of Rail Operations Analysis. Prior to joining ISR, Brian served as Lead Planning Analyst-Engineering for Amtrak. His responsibilities included developing yearly Engineering project schedules for the Northeast Corridor and he closely coordinated all Northeast Corridor capital project and division track usage requirements. 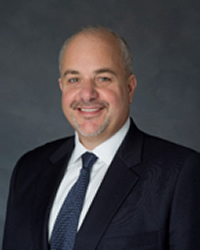 Brian also served as Bombardier Transportation’s General Manager-Operations and Maintenance for the North County Transit District in San Diego, California. He was responsible for all commuter and light rail operations. Brian also worked for the MTA Long Island Rail Road serving as Senior Director Infrastructure and Planning Operations. In addition, at the LIRR Tim also served as Superintendent Transportation for East Side Access and Supervisor Train Movement for the LIRR’s extremely busy train command and control center. Kevin Kane has joined ISR as Manager Operations and brings significant service planning expertise to the position. Kevin has a comprehensive background in train operations analysis, railroad management, rail operations safety, capital construction budgeting and rail timetable and schedule planning. Prior to joining ISR, Kevin served in a variety of management positions with MTA Long Island Rail Road including Director-Crew Schedules and Strategies, Manager-Administration Crew Schedules and Supervisor Train Crew Schedules. With Kevin on board, ISR is one of the nation’s leading firms in the field of Rail Operations Analysis which is led by ISR Vice President Robert Spero.